If you think Dubai is all about shopping and partying then you’d be wrong. Dubai offers some of the best thrill seeking activities ideal for all adrenaline junkies as well as lavish sporting events which make Dubai one of the most exciting places in the world to pay a visit. The first time I went to Dubai I thought I was hallucinating. Either that or the chilled beer I was sipping had had an adverse effect on my mind as in the distance I saw a group of what I thought to be parachutists hurtling towards the end of the Dubai Marina. I turned to the waiter to ask him to confirm whether or not I was losing my sanity and he began to explain that there is, in fact, a skydiving centre on the coast of Dubai. 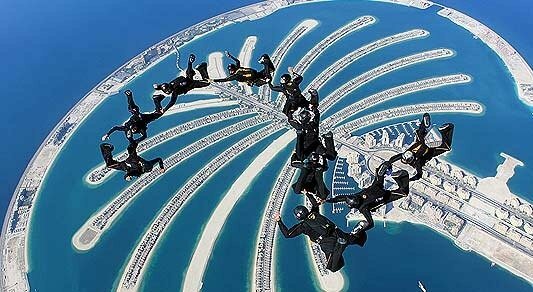 Whether you’re a first-timer or a sky diving veteran, Sky Dive Dubai offers breathtaking jumps that span the coast of Dubai, providing the skydiver with incredible views of the stunning Palm Jumeirah. If you’re looking for something different to do in Dubai and you’re feeling on the brave side of things then Sky Dive Dubai could be just the ticket! For all you petrol heads out there the Dubai Autodrome is quite simply a must see. 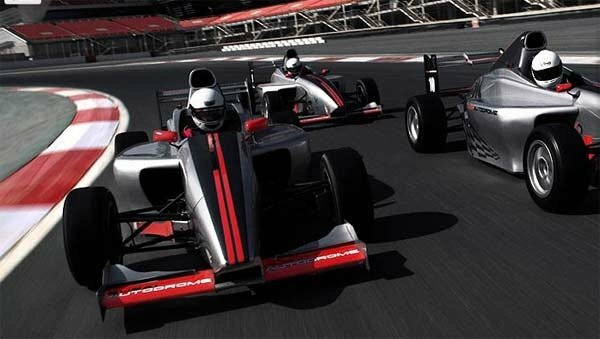 Home to events such as the UAE Touring Car Championship and the UAE Sports bike Championship, the Dubai Autodrome is an ultra-modern racing track designed to blow the minds of all Lewis Hamilton wannabe’s. By day the Autodrome opens its doors to the public offering a variety of experiences including skid car driving, the Audi R8 experience and my personal favourite, the F1 (Formula 1) style single seated experience. If the idea of stepping into the shoes of your favourite F1 driver for the day is top of your bucket list then the Autodrome is a must. Complete with a full-blown pit complex and grandstand, the first-hand motor racing experience doesn’t get much more real. Make sure you have a UAE or International Drivers license. Before you accuse me of genuinely losing the plot by suggesting you can ski in Dubai, just hear me out first. Dubai has a habit of doing things bigger, bolder and more extravagant than anywhere else in the world and the addition of their world record-breaking indoor ski resort is no exception to this rule. 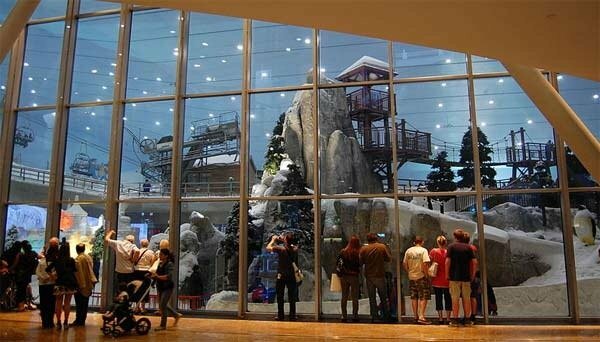 Housed in The Mall of the Emirates, Ski Dubai was the world’s first indoor ski experience to offer its daredevil skiers a black run. However, if you’re ski style is more of a Bridget Jones then don’t let the prospect of the black run put you off. There are five runs to choose from, all with varying difficulties. As well as the ski runs there is also a freestyle zone where snowboarders and skiers can show off their tricks as well as a vast snow park ideal for the tiny tots which comes complete with a helter-skelter made of ice. If however, you prefer the après ski to the actual activity itself then you can watch from the comfort of the choice of two cafes: St Moritz or The Avalanche café. Sky Dive Dubai, the Autodrome and Ski Dubai are just three of the weird and wonderful activities on offer in Dubai. If you had discounted Dubai as a place to visit because you didn’t think it would have anything on offer to entertain you then hopefully this article will have changed your mind!